Start taking classes at Luxe Yoga and other studios! Luxe Yoga is a boutique yoga, pilates and fitness studio in the heart of Sydney's Northern Beaches. 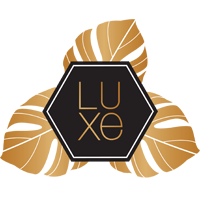 Luxe members love to sweat, work hard and feed their soul with a little indulgence. At Luxe, we look after you from start to finish. We provide mats and all other equipment you require. Simply bring water and a towel, and make sure you wear shoes for our fitness and cycle classes. Luxe Yoga is conveniently located on Harbord Rd across from the Freshwater Senior Campus. there is ample street parking. It wasn’t exactly what a expected but I did like it. Would have liked a little bit more of the practice to incorporate the barre. Claudine was great. I liked her style of barre. I didn’t find the studio very welcoming though, that would be my only not so positive feedback. Strong, challenging and lots of fun! Shauna's classes are always challenging and full of her kindness and wisdom. A beautiful start to the day. Fantastic class - really good workout! worked abs, bum and thighs. Only down side was the music being so loud. i could hardly hear the trainer.